MR-MINI-12BIT-DAC is a dual channel 12-Bit Digital-to-Analog Converters with optional 2x buffered output and SPI interface. There are no external components required. 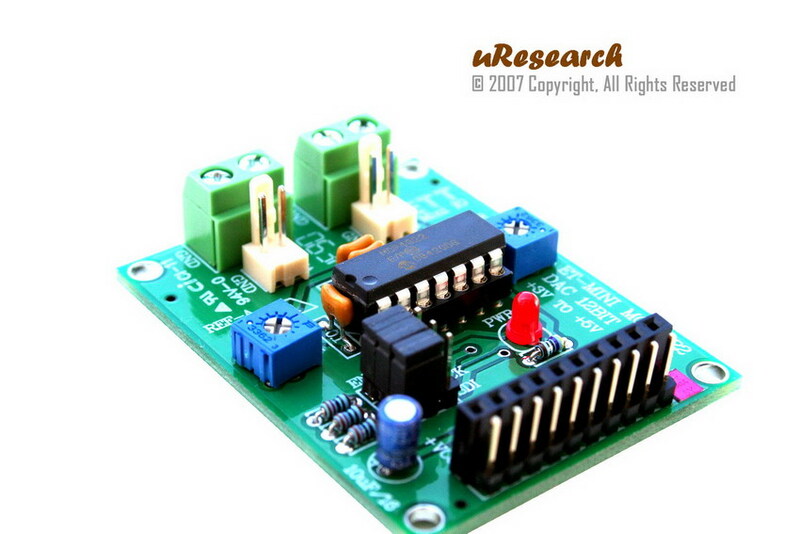 This makes it perfect for embedded systems that require digital-to-analog converter. 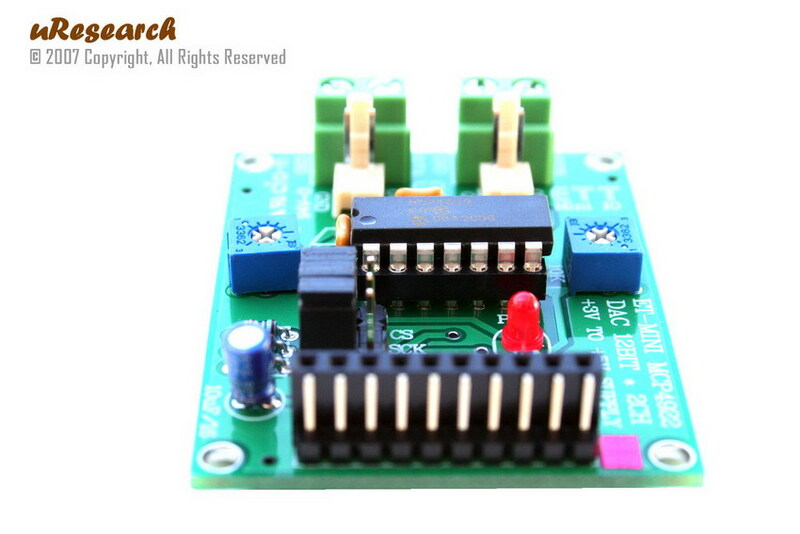 This board features innovations that set it apart from other digital-to-analog converter module. Innovations feature like on-board variable resistors for setup reference voltages, enable/disable jumpers, pull-up resistors, output terminal block and power LED. 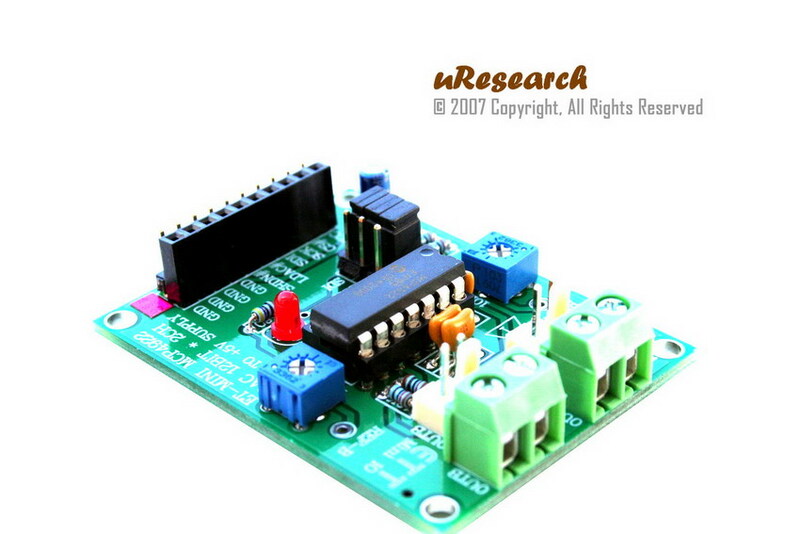 The module can be quickly connected discrete wires or header pins. 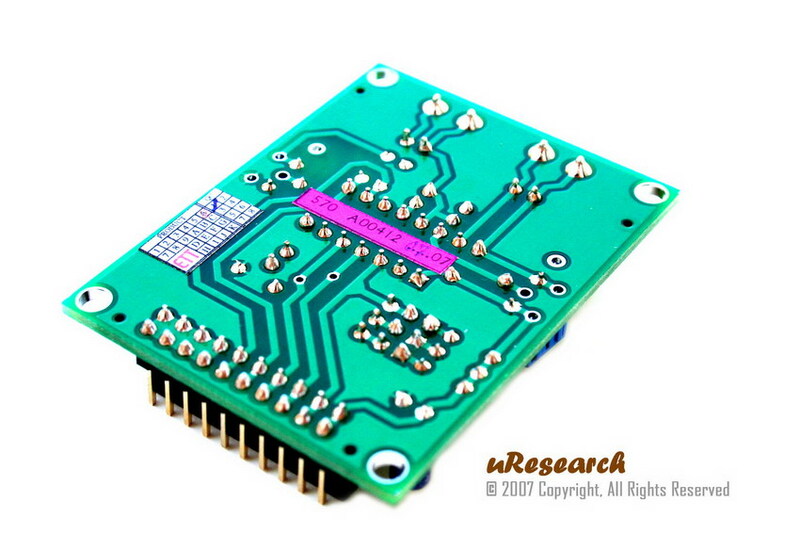 The board is small and compact in size 2.20 x 1.70 inches. 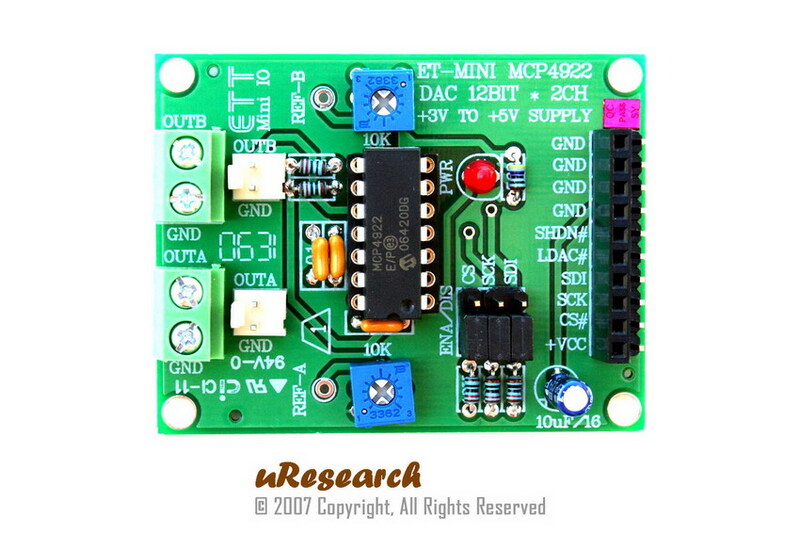 The MR-MINI-12BIT-DAC is designed base on MCP4922 IC. They are DACs that provide high accuracy and low noise performance for industrial applications where calibration or compensation of signal (such as temperature, pressure and humidity) is required. The devices utilize resistive string architecture, with its inherent advantages of low DNL error, low ratio metric temperature coefficient and fast settling time. These devices are specified over the extended temperature range. Also, include double buffered inputs, allowing simultaneous updates using the LDAC pin. 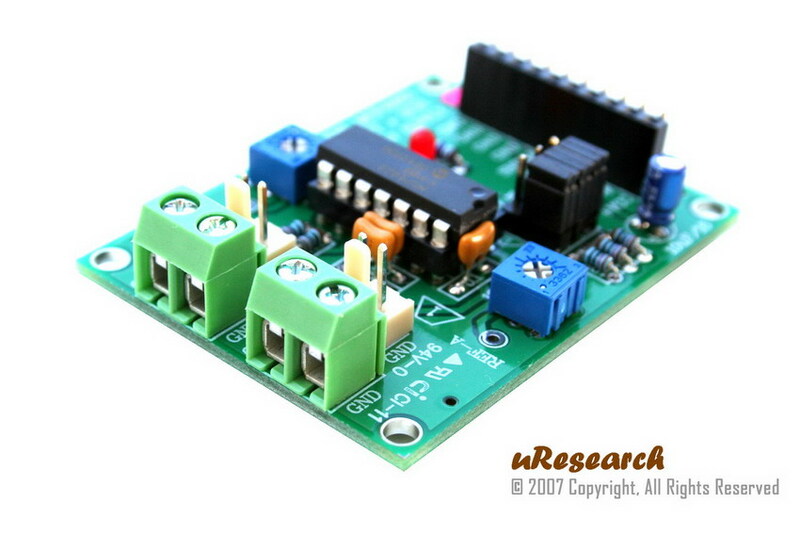 These devices also incorporate a Power-On Reset (POR) circuit to ensure reliable power-up. Please take a look at MCP4922 datasheet for more detail.